the farmers market is a great place to hang during the weekend, drinking beer and eating vegan food. 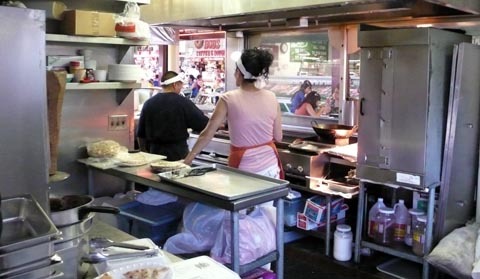 while there are many great places to eat, one spot that i frequent is a little middle eastern stand called moishe’s. the food is pretty expensive, but it’s really good. especially if you are looking for something light to help soak up several pints of beer. i love seeing so many things i can eat all lined up together on a sign! 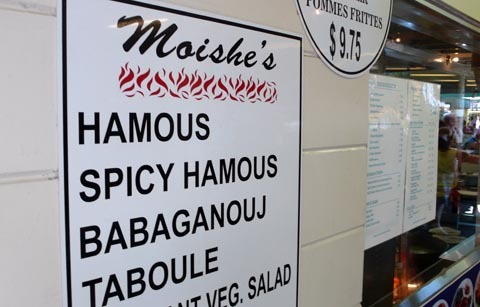 moishe’s also makes great falafel sandwiches, if you want a meal that’s a little more expensive hearty. i’ve definitely got a lot of problems with moishe’s…but it’s just so damn convenient and tasty, i keep on coming back. 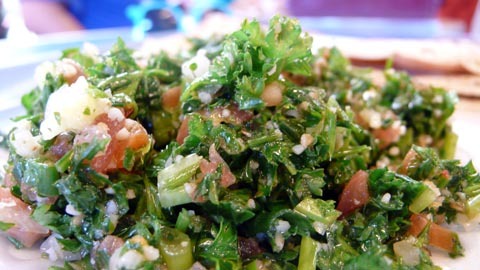 i’ve tried a lot of the vegan sides, and my favorite combo remains taboule and hamous. it comes with pita bread to help scoop up the snack, which i always open up and fill with my taboule. moishe’s hamous is some of the best i’ve tried in los angeles, with just the right amount of seasoning and oil. 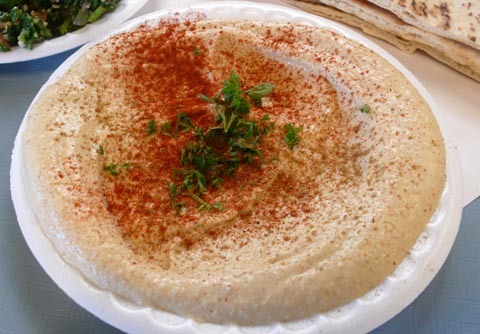 i’ve tried their spicy hamous, which is pretty good as well, but in my opinion nothing beats the plain! the downside of moishe’s? well there are plenty. as i mentioned, it’s really expensive. probably twice as pricey as a normal middle eastern restaurant you’d find in a san fernando valley strip mall. it’s also difficult to find a seat because the farmers market gets so busy during the weekend. getting a table usually involves teamwork (one person grabs the food while the other searches for and stakes out a spot) and the busing of several half-eaten, meat-filled plates. lastly, the staff at moishe’s are really rude. they yell questions at you about your order and then sling it at you when it’s ready. bastards. but hey, they make good hamous. plus, there is a clear view of the kitchen. so i can keep an eye on my food and make sure there isn’t any tampering. 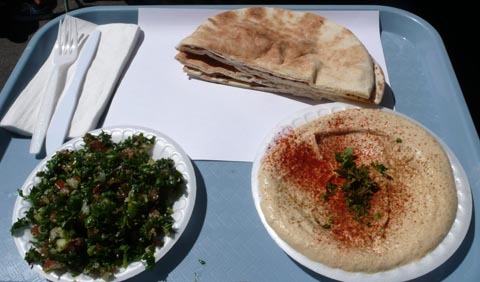 overall, i recommend moishe’s if you are at the farmers market already and want some good middle eastern cuisine. 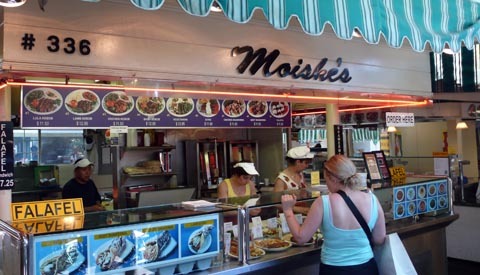 i definitely wouldn’t make a trip just to eat at moishe’s, but if you find yourself there, it’s a damn good option. just be sure to drink some beer first…then the expensive food and pissy lady behind the counter won’t bother you so much. First time at the farmers market about a week ago. Went there without hearing anything of it fist. Was really nice. Got the falafel; delicious. The people wee nice. Busy, but friendly.